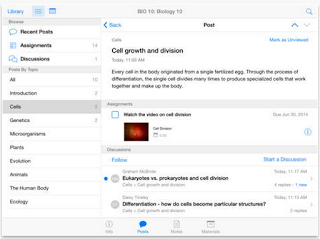 Today we want to draw your attention to one of the features of iTunes U that is often overlooked by many teachers. It is the ability to create your custom courses for iPad and teach them right in your classroom. iTunes U is best known as a provider of courses from leading universities and colleges (e.g Yale, Stanford, MIT Oxford ..etc). It actually has over 800,000 free lectures, videos, books and other resources on thousands of subjects from Algebra to Zoology. 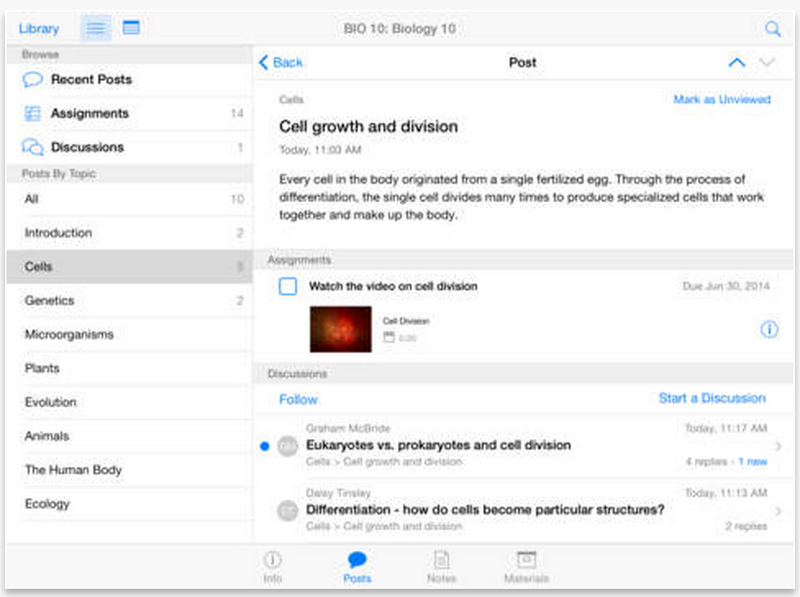 As a teacher you can use iTunes U to create your own courses to share with your students. Your courses can include a variety of materials such as a syllabus, handouts, assignments,, web links, content from other apps such as iBooks, Pages, Number, Keynote and many more. You can also include learning materials from over 750,000 educational resources available on iTunes U. Other things you can do with iTunes U include: Provide every student a course outline, write posts, distribute assignments, upload class materials, easily track participating students, and much more. You can also use your iPad’s camera to capture photos and videos to include in your lesson assignments. 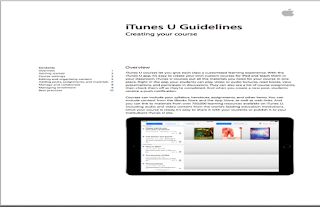 To learn more about how to use iTunes U to create custom courses for your class, Apple has this short guide available for download in PDF format. The guide walks you through the entire process of how to create courses including things such as how to edit and organize course content, add posts, assignments and materials, how to manage enrolment and collaborate with others and many more.